More Germans than ever are planning to skip the trip to the polling booth in their country’s federal elections, preferring instead to cast their ballots by post ahead of Sunday’s vote. 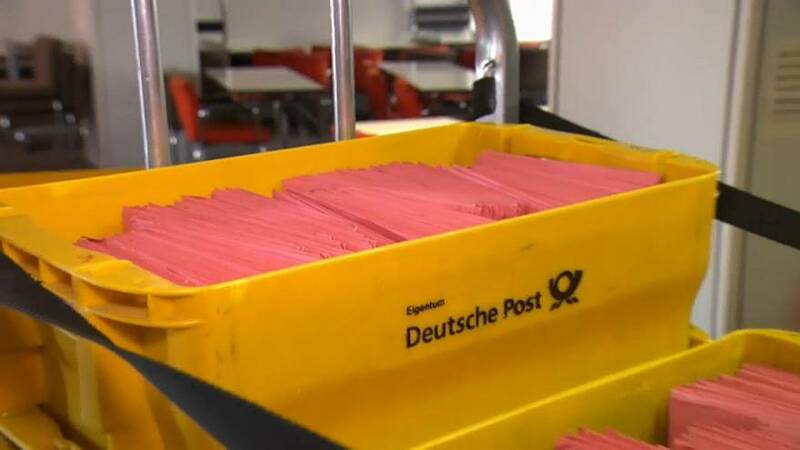 Although a winner won’t be announced until all the votes are in, the victor may have already been decided, with close to a quarter of the German electorate choosing to vote by mail. “Mail-in voting is here to stay,” according to Cristina Tillmann, director of the Future of Democracy Program at the Bertelsmann Foundation. In 2013, 24.3 percent of voters chose to cast their ballot early by post, reflecting a departure from the traditional nine to five Monday to Friday working hours. And many believe the number could increase this time around. Special rules have been brought in so that people can hand their ballots in, rather than putting them in the postbox. And just as well – the government, which foots the bill for postage costs, perhaps didn’t reckon with the number of people voting by mail when it relaxed the rules about postal ballots in 2008. Before 2008, voters were only allowed to cast their ballots by post in special circumstances. But early voters do more than just reflect a change in German society. It could conceivably change the outcome of elections, and politicians must take them seriously. This time around Chancellor Angela Merkel’s Christian Democrats have tailored a campaign specifically towards early voters, including 400,000 packages of campaign material and a special online video advertisement. This, coupled with rigorous targeted door-to-door campaigning, is a cornerstone of the CDU’s strategy.